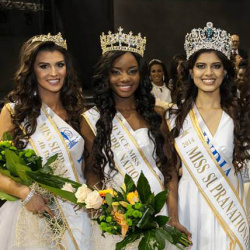 Miss Supranational got its start in 2009 in the city of Ptock, Poland where more than 40 countries participated. In 2017, that number doubled. 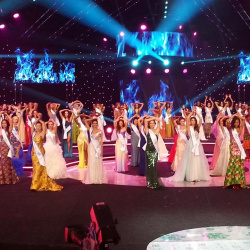 Now more than 80 countries participate in the pageant. 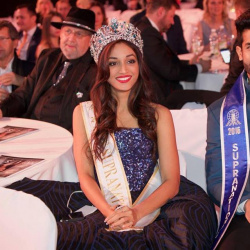 The pageant is accompanied by a live broadcast that is shown in more than 120 countries and boasts a viewership of over 100 million people. 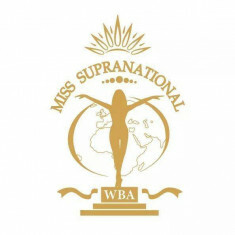 The Miss Supranational USA’s mission is to provide a wide-reaching platform for outstanding young women designed to promote their individuality and enhance their personal and professional development. By building on their innate beauty, strength of character and confidence through programs that make them positive role models. The end goal for each Miss Supranational USA winner is different but there's a thread that ties them together; the desire to create something bigger than themselves. Our mission is provide a platform for all the wonderful women across our nation for their voices to be heard and to make their dreams a reality. The future is she and Miss Supranational USA is here to propel all the beautiful ladies, inside and out, to their full potential all while helping others along the way. As we've often heard, the only thing that is permanent in life is change. This year, the Miss Supranational USA pageant takes on its own version of a facelift as I take ownership as the new National Director of one of the most prestigious pageants worldwide. There is nothing more intoxicating to me than new beginnings, however as I take on this new role, I realize there is something more intoxicating indeed and that is the power of changing someone's life and being able to help them achieve their dreams. Do join me on this new journey, and let's find ourselves our very first winner from the USA!